Key Ingredients: Hemp Oil, Black Pepper Oil, Grapeseed Oil, Shea Butter, Caffeine, Tea Tree Oil & L Arginine. 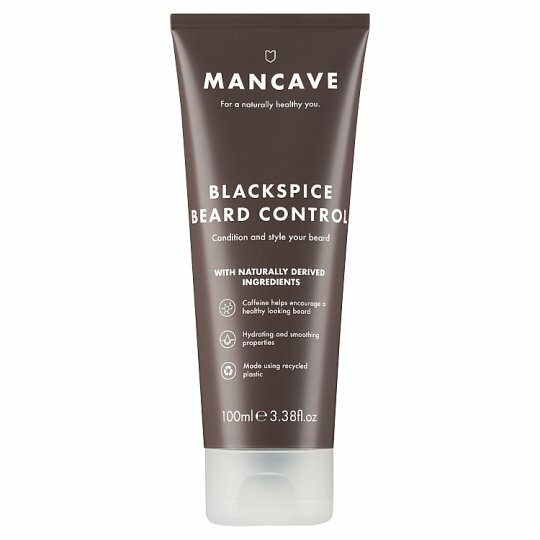 Keep your beard looking its best with ManCave's BlackSpice Beard Control, formulated with Hemp Oil and Shea Butter for a naturally smooth finish. We know growing a beard is no easy task - something that requires patience and constant maintenance to get it right. Tame your unkempt beard with BlackSpice Beard control and keep your beard in as good a shape as your hair. A mix of L-Arginine, Hemp oil and Shea Butter help naturally smooth and style your beard whilst Caffeine encourages healthy hair growth for those patchy areas. Directions: Apply evenly to freshly cleaned beard until fully absorbed and style as desired.